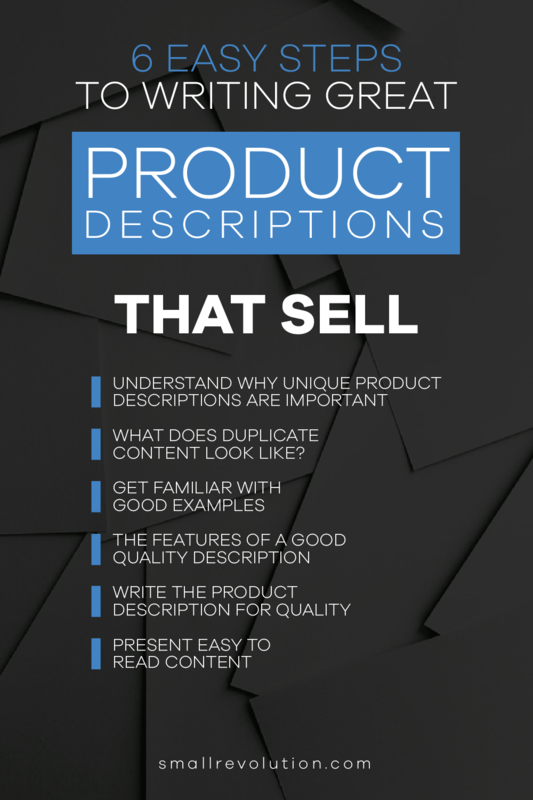 Learn exactly which words and phrases you need to include in a well-written product description. 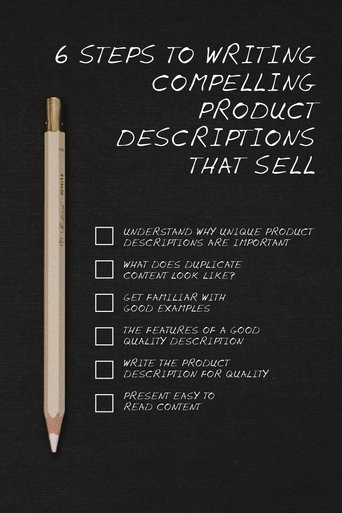 A high quality product description will impress your customers, and Google will love it too. A good quality product page, which naturally includes a good quality product description, will help customers learn about the product and ultimately make a choice to purchase. By providing this information stores become more trustworthy and you will be able to develop an ongoing relationship with the customers. This, of course, leads to a more profitable business. The number 1 rule, above all others, is that the product description must NOT be identical or even similar to any other website. Every product in every store needs a unique product description. Make sure your store complies by simply following this how-to guide. Often, store owners will copy and paste product descriptions directly from the manufacturer’s website. This saves time and money in the short term but puts these stores at a disadvantage in terms of long term value. The search engines, and customers, prefer unique descriptions of products. Not only that, but they prefer descriptions that are useful, informative and well-written by a knowledgeable person. With this preference in mind, Google introduced an algorithm change to their search engine called the “Farmer” update. It was a change in the way their software indexes websites and was designed to weed out “copy and paste” content. This update is designed to reduce rankings for low-quality sites — sites which are low-value add for users, copy content from other websites or sites that are just not very useful. At the same time, it will provide better rankings for high-quality sites — sites with original content and information such as research, in-depth reports, thoughtful analysis and so on. This comment from Matt Cutts, a Google employee, is a clear indication that Google prefers online stores that contain unique product descriptions. Step 2: What Does Duplicate Content Look Like? Duplicate content is a repetition of phrases and sentences found on other websites. If you go to Google and search for this exact phrase it will yield 1,640 results. This means that there are at least 1,640 other stores who are providing the same product information as the original manufacturer. Google will usually attribute the original writer of the information with the most credibility, and push their website higher up in the search engine results. The original writer will usually get the most visitors. If 1,000+ online sellers have the same product information, how would customers choose who to buy from? It becomes a ‘race to the bottom’ where retailers will end up competing on price alone. This ends up being a race to whoever can charge the least, and subsequently will push some people out of business. The solution – and the option Google is trying to encourage – is to provide customers with more value. 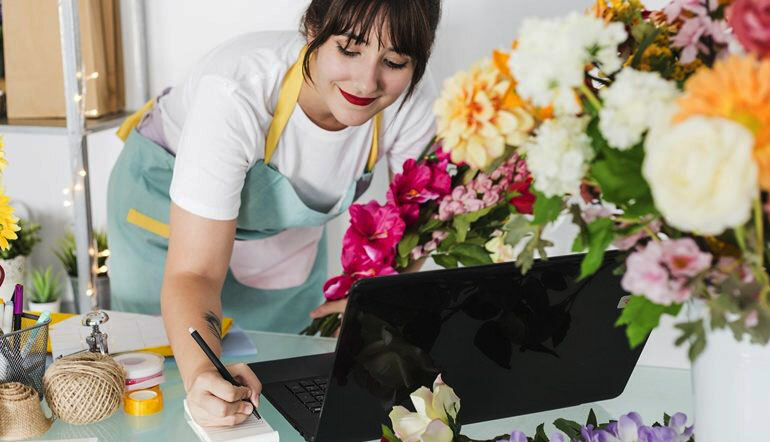 An advantage for writing unique, interesting, informative, creative and enticing product descriptions is that your customers will feel you are more trustworthy and knowledgeable about the products you are selling. 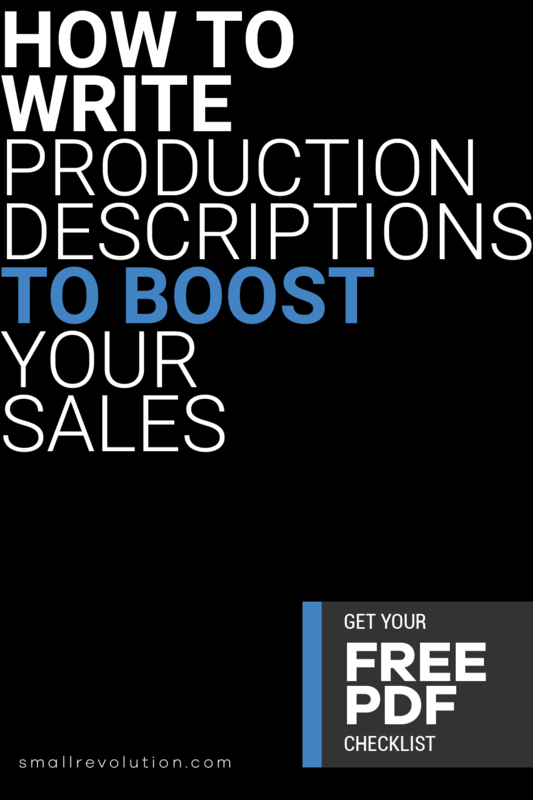 In summary, to avoid the penalties imposed by Google’s “Farmer” update make sure you create unique product descriptions for every single product in your store. How Can You Check If The Product Description Is Copied? It is easy to check whether your content is unique or scraped. Duplicate content can be checked online using Copyscape and Plagiarisma. Watch the screencast to view examples that will help you learn how you can approach the problem of writing about a product that doesn’t have much information. You can simply rewrite the manufacturer’s description, or write something of your own. 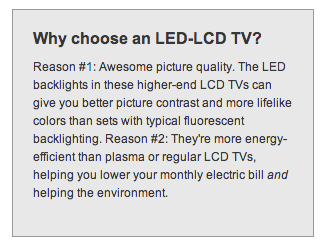 This example below from Appliances Online shows how they have approached their product description writing. The content is generic, but includes related keyword phrases such as “ice dispenser”, “kitchen”, “plumbing”, “fridge” and “freezer”. It’s important to include some useful keywords in your product descriptions. You can imagine that a customer searching in Google might type in “fridge with ice dispenser” so by using that same phrase in your own product description your customers are more likely to find you. Or you can go a bit wild with your descriptions. 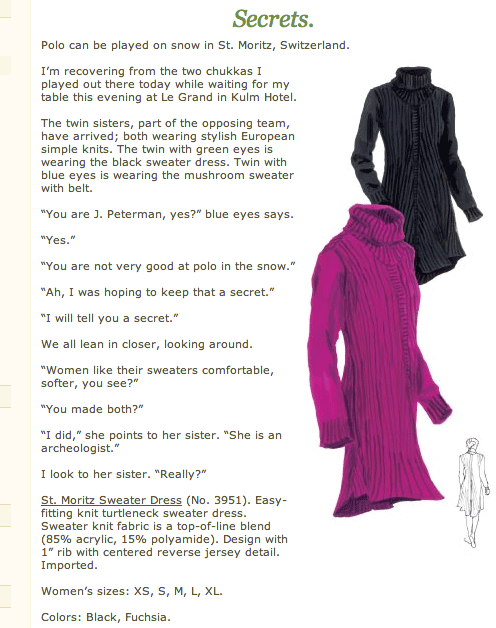 This example from the J. Peterman Company shows another approach. They have introduced a sense of whimsy and conversation. This allows them to get very creative with their product descriptions, and provide more text than they ordinarily would be able to. The Patagonia team have used a conversational tone, introducing a well known destination, and have then followed this up with a bullet list of features. 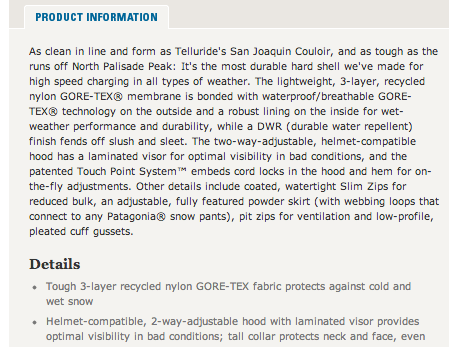 However, compare the second bullet point with the text inside the product description. The phrase “two-way-adjustable, helmet-compatible hood has a laminated visor” is very similar to “helmet-compatible, 2-way-adjustable hood with laminated visor”. This is sometimes referred to as article spinning – when text is essentially the same but reordered so it looks different. you should avoid this approach as Google used the “Panda” algorithm update to demote/delist websites involved in article spinning. Dogandpupstore.com crafted this simple but concise product description for very stylish dog collars by Malucchi. Apparently, their target customers are stylish dog-lovers and they’ve used catchy and quirky phrases to make the product description more interesting and fun. Technically, the terminologies they’ve used to describe the products are the colors available (pretty pink, glamorous green, turquoise, purple) and the materials used (suede and nylon), which are quite useful for both SEO and humans. Firebox have a good balance. They use a friendly, conversational tone with a good amount of detailed product specifications. Even if you’re selling something serious it doesn’t hurt to be friendly. Stores selling cooking utensils will sometimes link to recipes where the purchased utensil can be applied. A store selling baby clothes might link to a photo gallery showing the products being worn. A store selling shoes might link to a size chart. All the inline links will typically take the customer through to another page within the website. Good summary/introduction – The writer refers to common problems that the customer experiences, mentions the product name again, mentions the product category/keyword and places the product in context of other competitor products. Additional Details Tab – Specifications are given additional context. Technical terms are given laymans’ explanations. Technical terms are turned into easy-to-understand regular language. Useful sub-headings – The writer has created several useful sub-headings. These serve to break up the blocks of text, and to encapsulate one idea into each section. The sub-headings will often also contain good keywords. In this example they are selling a television and so use words such as “picture” and “3D”. Explanation of technical terms – The writer uses each paragraph to discuss one aspect of the product. The aspect is then further elaborated upon, and non-technical terms are used. Why buy this product? – The writer includes a summary at the beginning of the content, explaining why the reader should buy this type of product. Usually the summary, or conclusion, is at the end of an essay or story. Good product writing uses an inverted pyramid concept, whereby the conclusion is placed at the beginning. Links to additional information – The writer has included a tab of information called “Category Info”. This is a list of information that relates to the product. Because the writer is trying to selling a television they are linking to Buying Guides (TV Buying Guide), Comparison Guides (LED-LCD vs Plasma), Technical Articles (The Ins and Outs of HDMI). For example, if you’re selling a saucepan it’s a good idea to link to recipes. 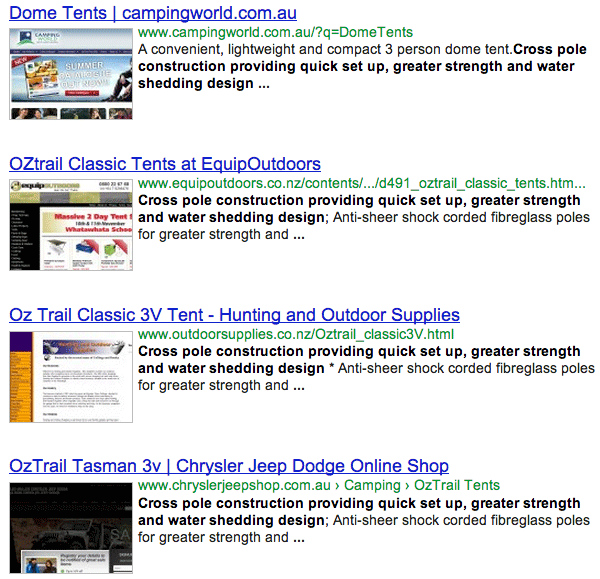 If you’re writing about a tent it’s a good idea to link to an article that suggest the top 10 family camping spots in Australia. These articles are within our store. Summary addresses customer’s pain points – When installing a garden shed you want a flat and sturdy floor. It’s an absolute pain in the neck to have to pour a concrete slab and wait for it to set. Adding a concrete slab under your shed also costs more money. This product however solves the customer’s problem by providing a basefloor. It’s important to use the summary text to point out how a customer’s problem can be solved. Create readable text – The writer uses bold in the text to highlight important product features and differences. The writer has also used very short paragraphs. This means there is only one idea per paragraph, and makes it easier to skim read. a thorough understanding of the product and how it fits into the rest of the competitor products and others in the range. This means you will need to research the product online, as if you were a customer yourself. an ability to explain these differences from a customer’s perspective. This means you need to put yourself into the customer’s shoes, and truly try to understand the challenges they face in deciding which “chair” best suits their purpose. an ability to source many different types of content and repurpose it for your store. This means you search deeply into the Internet, looking at many different sources, so that you get a full understanding. to check your spelling and grammar thoroughly. 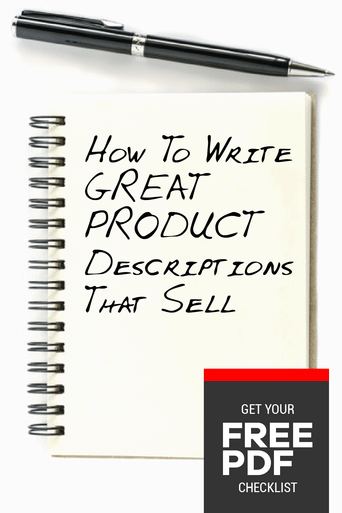 When you have a good understanding of the products and the categories then you will be a good writer of product descriptions. There are many places to learn about the product. As you start your research you will find that some sources are more reliable and useful than others. Customer support emails. eg: Every day we answer customer service emails. These contain product knowledge. Each product needs a good summary/introduction discussing how it might be used, and who it would best be used by. This “sets the scene” for the customer. They can then feel whether they are looking at the right product, or not. The introduction should also point out a unique difference for this product compared to all others. Is this product bigger, smaller, cheaper, sturdier, lighter? A different colour? This helps the customer to decide whether they want a bigger or smaller product. For example, the weight ratings of portable chairs means they can be used for different purposes. A lighter weight chair can be taken to a sporting game, and will sit flatter in the back of the car. Whereas another chair might not fold flat, but could be sturdier for taking camping. The product description should be more than just a list of features. It should anchor the online world to the real-world product. In addition, it would be useful to mention if the product comes with free shipping. Also that we offer a good returns policy, or that we’ve been in business since 200X, or that we’re friendly. We don’t just talk about the product but take the opportunity to mention at least one positive aspect of the company as well. This helps to build trust between the customer and the store. The summary should be followed by the Feature or Spec list. We can use technical terms such as 600D, but this also needs to summarised for the non-technical reader. Is that a heavy or light weight fabric? What does the D mean? It is a good idea to write about more technical features and explain them in plain English. Should be at least 30 words, and more if possible. Get creative. Include links to other compatible products on the store, if appropriate. Eg: link a product to popular accessory. Include links to content in the Blog and News sections of your store. Can include comments/testimonials that you find from customers on the web. For example, you might find someone in a forum saying “This is a great product because it is light and easy to carry”. You would copy their text and link back to their comment in the forum. Include links to YouTube videos, if they are not published by a competitor. Include links to Product Manuals. Text should be friendly, relaxed and useful. Be creative. Be friendly, but not too casual. Don’t use abbreviations or slang. Professional, but friendly. No spelling mistakes. Check grammar carefully. Most products will also have a features list. You should research the product on the Internet to make sure that you have the full feature list, with nothing missing that a competitor might have. Check the manufacturer’s website to make sure you have the full feature list. Check the product on the internet and write a list of all the features to compare. Check the product in shopping comparison engines. Understand what the technical jargon means and then interpret it for the customers. If you don’t know what “denier” means then find out and include “denier” but also paraphrase so everyone else will also understand it. Check all the competitor websites for new information that you do not have. But do not copy and paste. Rewrite the text in your own words so it is not a duplicate. Writing a good quality description is only half the work. The other half is to apply good formatting that makes it readable. Most people visiting the product pages will not read the text carefully. Instead they will skim read. To facilitate skim reading it is important that the text is formatted appropriately for this behaviour. Highlight important words with bold. Don’t highlight every feature of the product. Highlight features that are unique to this product, or mark the product as different to competitors. Don’t highlight full sentences. Just highlight the main concept or idea in the sentence that you want a reader’s eyes to rest on. Use hyperlinks on important product names or concepts and take the reader to other parts of the store. For example, if you are comparing a product to a smaller version, you would hyperlink “smaller” to the smaller product available in the store. If you are writing for a cooking product then you could link out to a blog article, in the store, with recipes. Use one idea per paragraph. And then bold the essential idea within the paragraph so it stands out. Use meaningful sub-headings to break up large blocks of content. Use the “heading 2” style. Do not use the “heading 1” style as this html tag is reserved for the product name or article name. Start with the conclusion. What is the one key point that you want customers to know about the product? Start with that point. Use bullet lists to help readers skim read through a bunch of ideas.